The updated style of this piece is ideal for a contemporary home or apartment, and will give your living room a more industrial appearance. 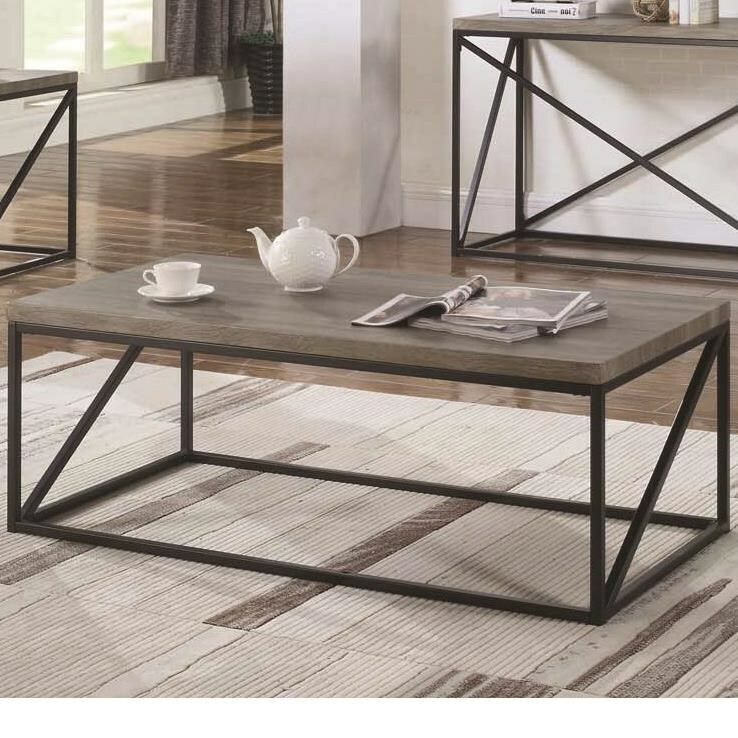 The black metal base and sonoma gray finish of the tabletop allow for a sleek yet simple look, making this coffee table a great fit for almost any style room. The 70561 Industrial Coffee Table by Coaster from Nashco Furniture - Nashville. We proudly serve the Nashville, Franklin, Brentwood, Clarksville, Green Hills, Davidson County, Williamson County, Tennessee area. Product availability may vary. Contact us for the most current availability on this product. The 70561 collection is a great option if you are looking for Industrial furniture in the Nashville, Franklin, Brentwood, Clarksville, Green Hills, Davidson County, Williamson County, Tennessee area. Browse other items in the 70561 collection from Nashco Furniture - Nashville in the Nashville, Franklin, Brentwood, Clarksville, Green Hills, Davidson County, Williamson County, Tennessee area.